"The story takes place in the atmospheric European city of Amsterdam. Its winding alleys and ancient canals trap the characters in a labyrinthine maze as they find themselves manipulated like figures on a giant chessboard." Lifespan is a delirious and obscure thriller about the quest of obtaining eternal life... a movie shot in Amsterdam in the 70s, which vanished into oblivion after its original release forty years ago. It was written and directed by Alexander Whitelaw, who manages to absorb every ounce of Amsterdam's beauty in his dream-like cinematography. Actor Hiram Keller (Fellini's Casanova) portrays a man who becomes so obsessed with his search for the truth that he looses perspective and starts merging with a mysterious figure from the past. This type of psycho-physical deterioration is in many ways the prototype which would lead to the films of David Lynch or David Cronenberg. Roman Polanski was a deep admirer of this film. Perhaps because it is so difficult to categorize, a strange combination of science fiction and murder mystery... a slowly paced conspiracy thriller based on an existentialist theme. 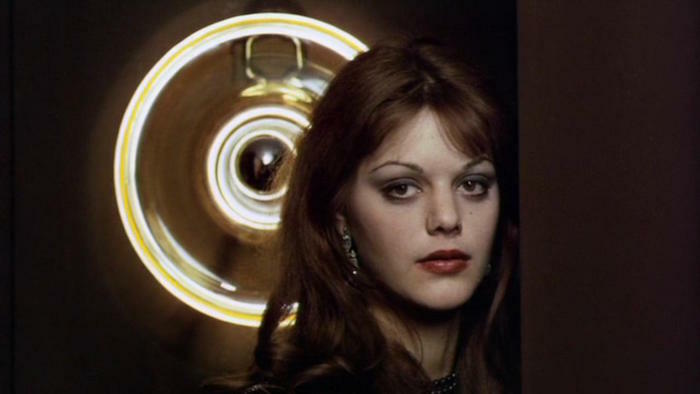 Besides featuring the crazed Klaus Kinski (Fitzcarraldo) and the cult actress Tina Aumont, the film also has an unexpected appearance by Dutch filmmaker Fons Rademakers. Another surprise is the haunting electronic music score by avant-garde composer Terry Riley! One of the cuts from the soundtrack of this offbeat film would even later be arranged for strings and played by the Kronos Quartet. Georges Franju's terrifying short documentary film, that slowly drifts across the outskirts of the Paris suburbs and finally enters a slaughterhouse. Both brutal and poetic in equal measure, this cathartic flick plunges us into a realm of pure death. Such a film could never be made today since it would be immediately banned.